A monument to the umpiring community, Gavin Statham began his umpiring career in 1989 at the age of 11. For six years he ran the boundary or was the field umpire in the WAAFL, serving his apprenticeship for the highest stage in football, the AFL. Gavin excelled early in his career at a very young age. He was running the boundary for the A Grade in his second season at the age of 13 and in the following year, was a boundary umpire for the B Grade grand final. By the time he was 15, Gavin was serving as a field umpire in A Grade colts matches, his talents obvious to many people and in 1994 as he was appointed to umpire the D Grade grand final. 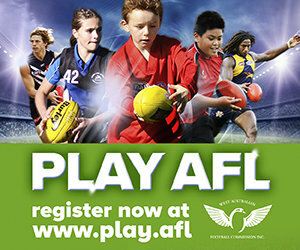 In 1995 the WAFL recognised Gavin’s talents and he was soon umpiring regular colts football, being appointed as grand final umpire for the WAFL Colts in 1996, 1997 and 1998. Gavin’s rapid rise through the ranks of umpiring continued and a year later, in 1999, he was umpiring the WAFL Reserves Grand Final after making his league debut in the same year. It was a deserved reward when after some years of league umpiring Gavin was not only named a WAFL Grand Final umpire in 2007, 2008 and 2009, but nominated by his peers as Umpire of the Year in the same seasons. 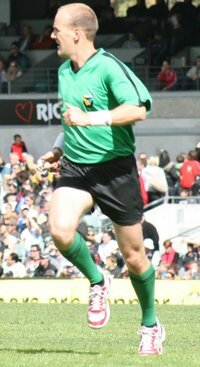 Currently, Gavin has umpired 279 league football matches and was named Umpire Rookie of the year by the AFL in 2008 and 2009. He has also been selected to umpire the state matches. Tonight, everybody involved in amateur football salutes Gavin Statham for his remarkable and sustained contribution to football and for achieving so much from humble beginnings as an 11 year old running boundary in the WAAFL.